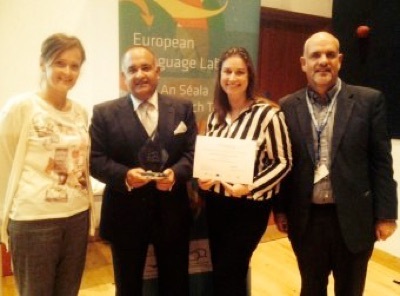 The MEDISIGNS project was one of seven winners awarded the 2013 European Language Label for innovative ways of teaching and learning languages. 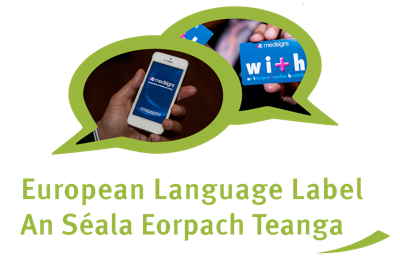 The European Language Label, which is simultaneously run in over 20 European countries, has been a major event in the languages’ calendar since 1998. The Award recognises creative and innovative ways to improve the quality of language teaching and learning. This year’s winners were selected on the basis of excellence, innovation, creativity and their ability to serve as a model for others. To celebrate the European Day of Languages Professor David Crystal addressed the winners. Dr Céline Healy, Chair of the Iris National Jury, commented that the winning projects illustrate the importance of innovative language-learning initiatives during times of economic challenge. Dr. Healy also noted, “These award-winning projects provide a potential source of inspiration and motivation for others teaching and learning languages”.